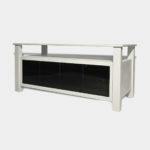 This console cabinet is built from red alder then primed and painted ivory to a satin sheen. 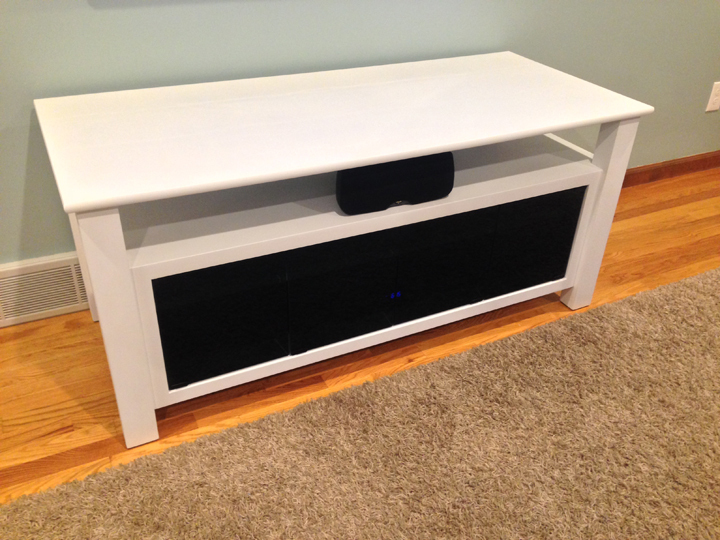 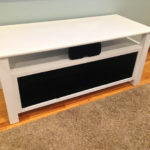 Intended to hold essential modern media equipment ideally under a wall-mounted television. 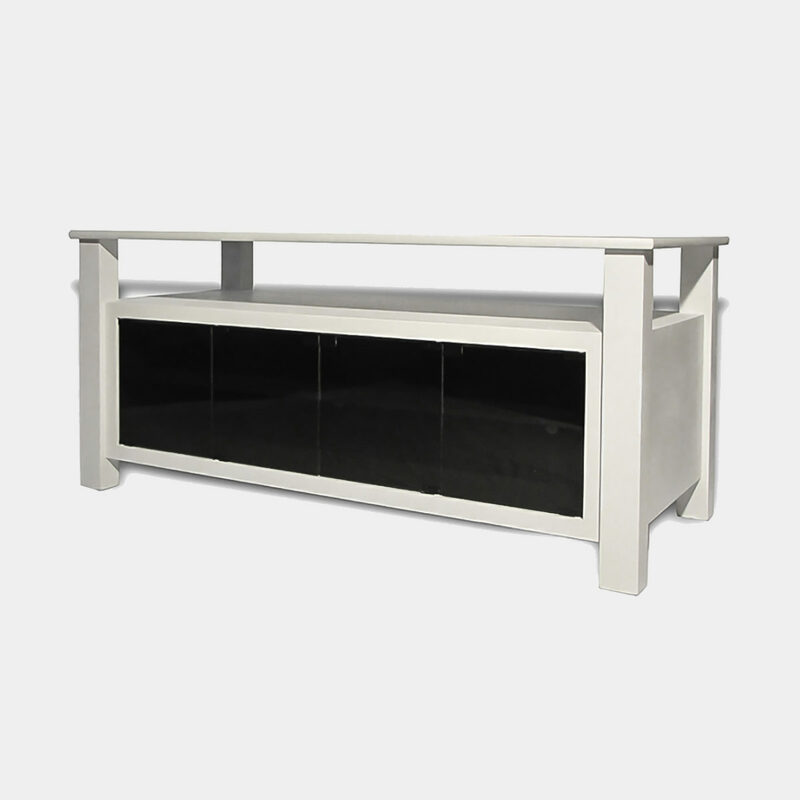 It’s sleek look and lightly painted surface can be contrasted effectively with dark tinted glass doors that give way to a compartment with one adjustable shelf.Wood color and dimensions customizable.